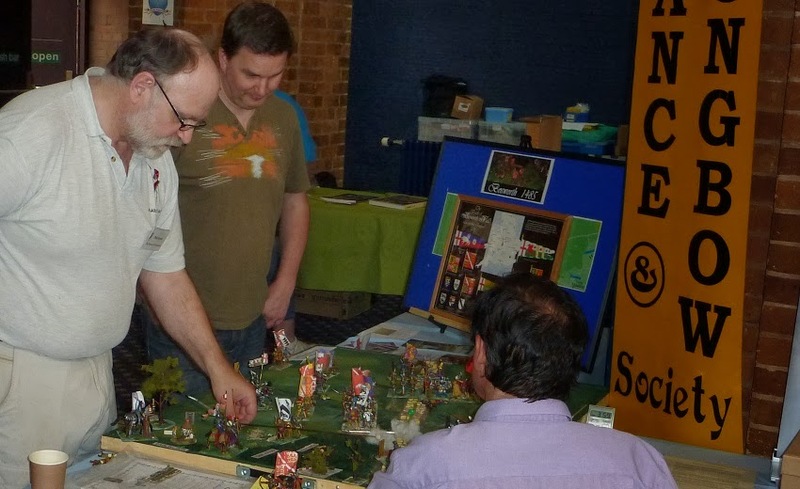 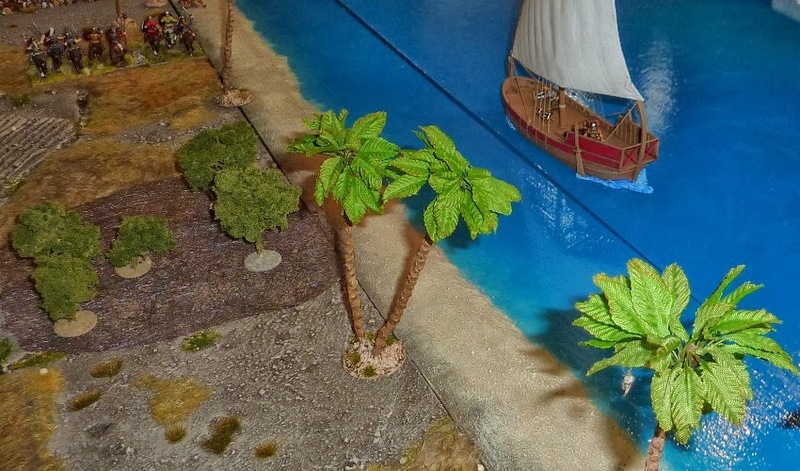 this was another Lance & Longbow/Society of Ancients shared zone, and another outing for the 2013 Show Game, Bosworth. I found the layout of the show problematic this time. We were right next to a 10mm demo game of Bosworth based on the now obsolete reconstruction in the 'current' Osprey title. 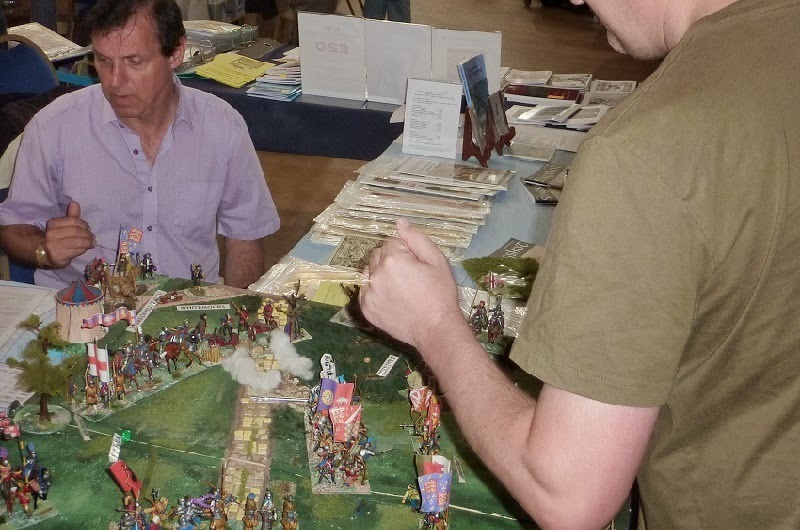 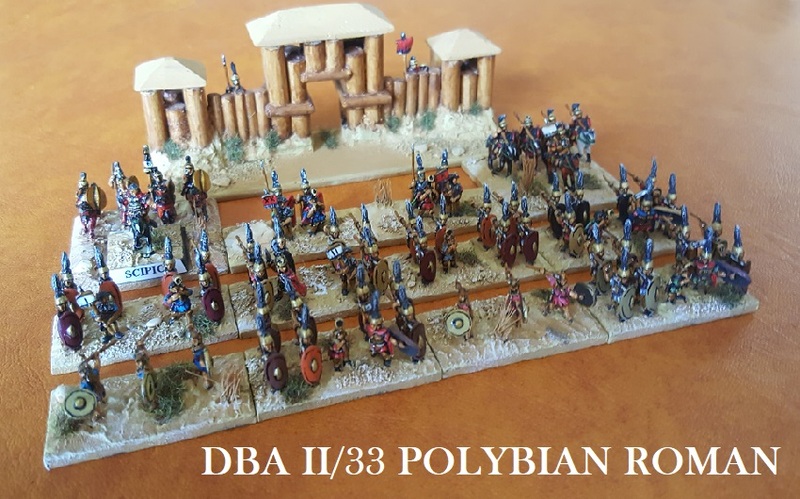 I have to own up that as a fellow wargamer who is, in part, at least, a military historian, this compromises me: I have no wish or intention to criticise someone-else's effort: everyone has an equal right to pitch their games at a level they feel is appropriate. 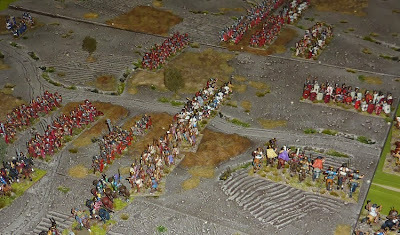 Then again, everything I have to say about my game, the Battle of Bosworth, and the archaeological work done at the site is a direct criticism of any game based on the Osprey book which is now, to the satisfaction of even casual student of the subject, proved to be wrong: what is depicted is not the battle of Bosworth. 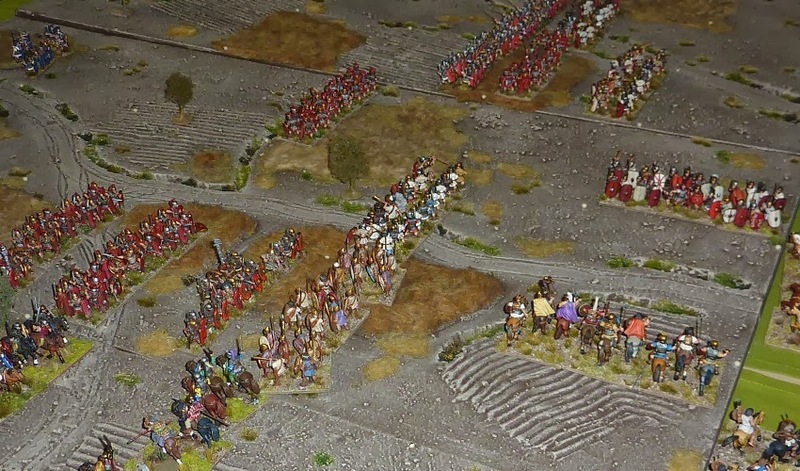 Given that the obsolete interpretation has Richard III's army holding the slopes of a significant elevation, and the battle was fought on the flat, it does make a difference. Thanks to everyone who stopped by, and thanks to the players who tried out the V3 DBA Bosworth game. Glenn Foard and Anne Curry's 'definitive' volume on the lost battlefield of Bosworth has now been published and I will add some further texture (and possibly a Slingshot article) when I have had a chance to go through the material. 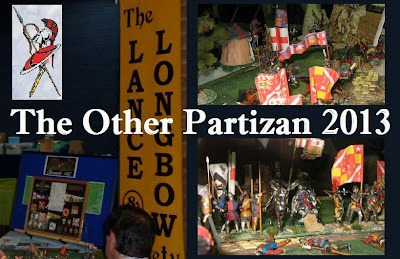 The location on Fenn Lane is certain, but there remains some scholarly debate on the orientation of the engagement.